The first decade of the 2000s saw a surge of independent cinema in Southeast Asia. With this came the increasing international attention and capitalisation of the notion of Southeast Asian Cinema and its accompanying issues. These issues run the gamut from the socio-political, cultural, historical and economics (in production, distribution, exhibition) related to the film industry and explored by artists. 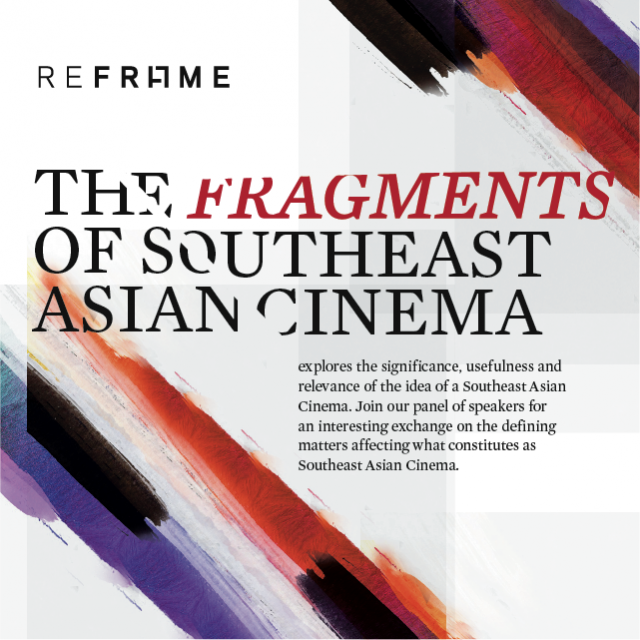 Asian Panorama: The Fragments of Southeast Asian Cinema is interested to discuss the significance, usefulness, and relevance of the idea of a Southeast Asian Cinema and the different art forms that intersect with the film genre. The varied experience and backgrounds of the participating panellists, including filmmakers, programmers, curators, archivists, researchers and distributors, promises an interesting and robust dialogue exchange on the defining matters affecting what constitutes as Southeast Asian Cinema.